Ruth Bacon Edewards has played the violin for as long as she can remember. Growing up in Albuquerque, New Mexico, as a student of Suzuki teacher trainer Susan Kempter, she remembers well the joys and struggles of the Suzuki journey. Ruth fell in love with performing in middle school, hearing the Mendelssohn Octet performed by older kids, and she knew that she wanted to be able to play like that. 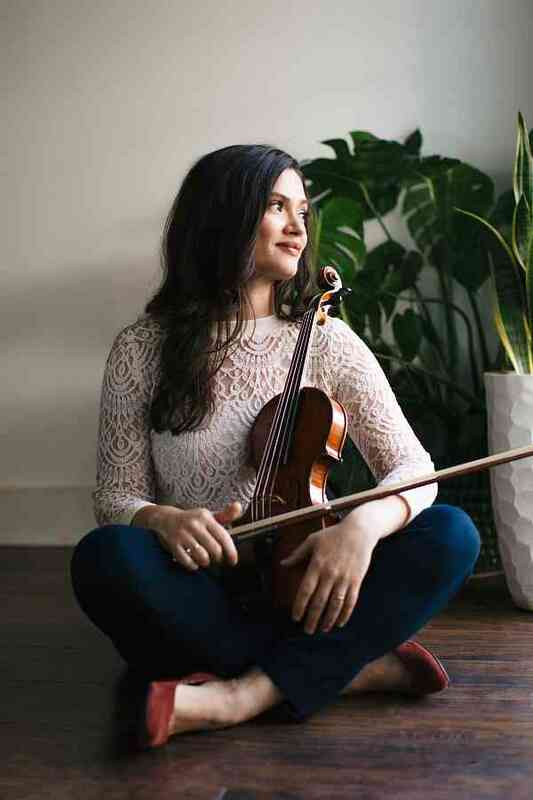 She earned her Bachelor’s of Music at the University of New Mexico, where she also completed her Suzuki long term training under the direction of her first violin teacher, Susan Kempter. She went on to pursue a Master’s degree in Violin Performance at the Cleveland Institute of Music, studying with members of the Cleveland Orchestra. Starting in undergrad, Ruth has played with orchestras across the country, from the New Mexico Symphony to the Richmond Symphony, and she toured internationally with Star Wars in Concert in 2009 and 2010. When she was twelve years old, Ruth started her first Twinkler, and she has been teaching ever since. She has taught as a guest clinician for over ten years at the Farmington Suzuki Camp, has coached chamber seminars and youth orchestra retreats in New Mexico and Tennessee, and has taught at aTexas All State Preparatory camp in Houston for the last few years. Her current studio includes students ranging from beginner to advanced, and includes young children to adults. Ruth moved to Knoxville in 2011 to play as a full time member of the Knoxville Symphony Orchestra. In her years here, she has started a private violin studio in Knoxville, teaching beginners to adults; adopted two orange tabby cats; fallen in love with hiking in the Smokey Mountains; married a wonderful musician and conductor, Ace Edewards; and most recently, bought a house in the Parkridge neighborhood, where she hopes to make her life and music for many years to come.